NewAgain chemical products are among the best in the industry, offering superior cleaning at significantly lower cost. 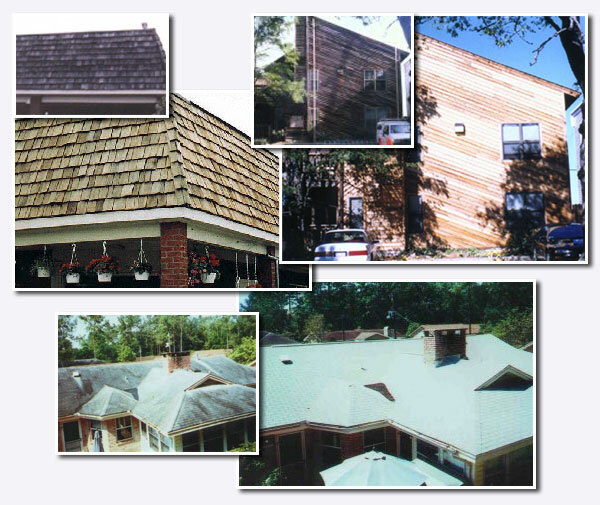 NewAgain products restore natural color of both asphalt and cedar shingles, docks, decks, fences & more. They contain no bleach, solvents, acids, phosphates or plant killing poisons. We Are NewAgain, Inc. - We have been manufacturing chemical products for many years. We have assisted pressure washing contractors, restaurants, concrete cleaners, as well as many other industries, in their needs for superior chemicals and cleaners. Our owners have a total of 30 years in the chemical blending business. Together, our team has over 30 years of marketing experience. NewAgain custom blends, private labels, distributes and manufactures a complete line of chemical cleaning products. Whether it is a roof cleaner, deck cleaner, concrete cleaner or auto/truck cleaners, we make it all. Cleaning professionals throughout the country have discovered how well our products work and how cost effective they are. Below are a few examples of what others have achieved by using NewAgain products. You can visit our photo gallery to see more pictures. Click here to visit the gallery.